You want to be sure that you don’t mind sharing your house or garden with whatever expelled it. 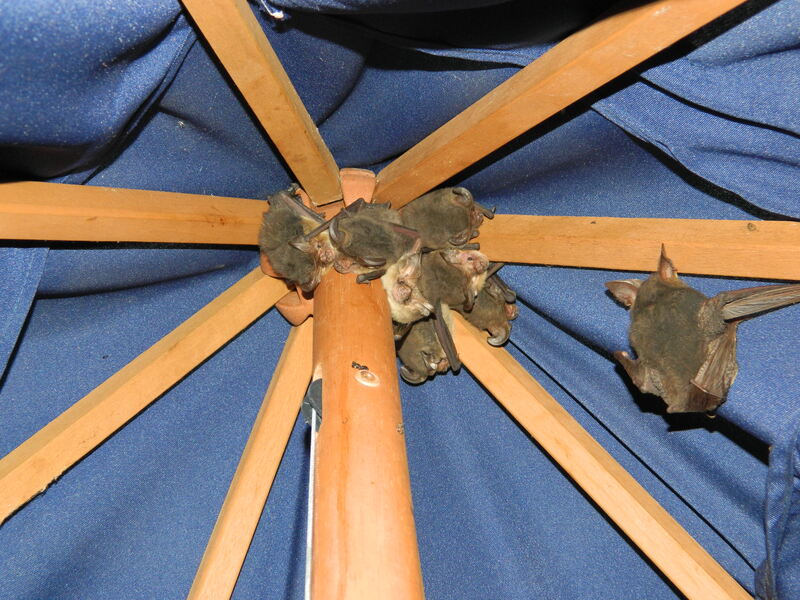 So when I noticed some new poo at the base of my garden umbrella, I did just that. I very carefully wound the umbrella open a few turns and stuck my head slowly up inside the folds. 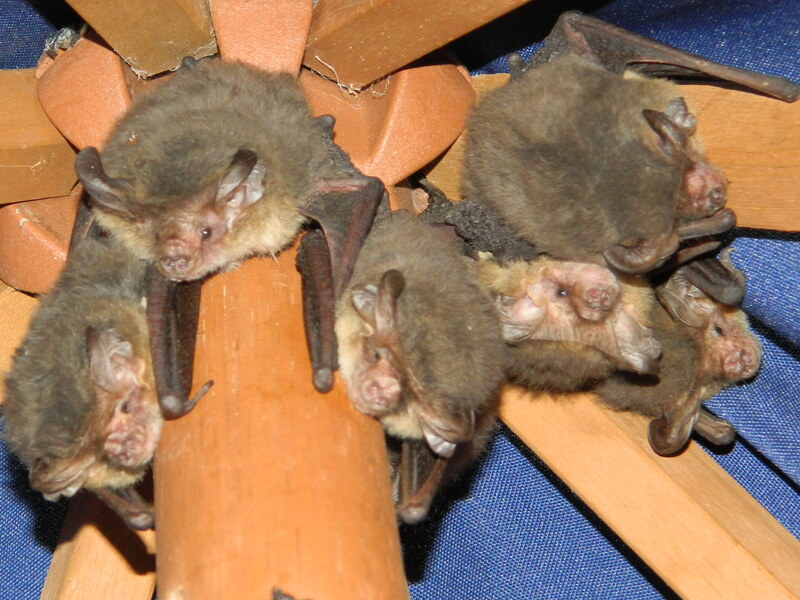 There to my surprise I discovered a family of microbats. Possibly a Gould’s Long Eared Bat ? I’ve heard of microbats and I know they live in the Bellinger Valley but I’ve never seen one before. They are about the size of a large mouse, they have the most fearsome little faces (and teeth! ), and they were not at all happy with me trying to take their photo. Now this discovery poses a bit of a problem – microbats are classified as vulnerable due to loss of habitat and feeding grounds. If they have decided that my blue umbrella is their new roosting spot, does this mean I have to buy another garden umbrella ?? Previous What to do with a Finger Lime ? Don’t you dare open your blue umbrella! Those lovely little critters need somewhere to live. And they’ve already worked out you’re a soft touch. . . .